[ ? ] 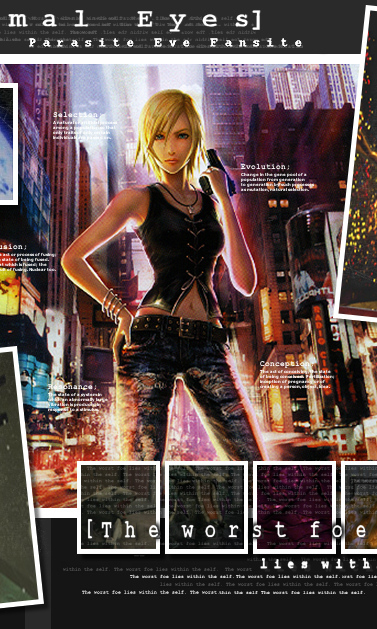 What is Parasite Eve about? 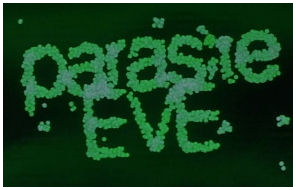 >> Parasite Eve is a film about evolution taking a wrong turn and the end result (in this case Mitochondrial Eve) turning it's eye on humanity itself. It focuses on Dr. Nagashima, a highly regarded scientist who loses his wife in a horrible accident. Torn and deeply confused, he sets into motion an age old plan by his wife’s mitochondria to birth the ‘ultimate being’. See the film to find out what happens next! [ ? ] When was the film made? >> The movie was made in 1997. It was then translated and released to America in 2001. [ ? ] Can I grab the movie in English? >> Only if you’re prepared to voice a fan dub yourself. 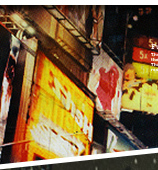 As of 2001 the US version only has hard sub – subs that are automatically in the picture regardless of any other changeable feature. [ + ] How long does the movie go for? [ + ] What features does the film have on the DVD? >> A trailer and scene selection is all you’ll find on the DVD. No whiz bang games, overly complicated options or frame-in-frames. 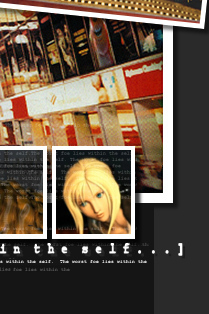 [ + ] Where is Parasite Eve filmed? Parasite Eve is filmed in Saitama, Japan. You can look up all about city HERE. [ + ] Where can I buy the movie? E-bay and some specialty stores which sell over the net should have a copy or two. Maybe check your local video store for the 'World Cinema' section. It's not a very well-known or popular movie, but it is out there! [ + ] Is the film like the game series? More or less completely different. The games focus on another incident entirely, though there is some evidence it may be a prequel. Only the very basic principal about evolved organelles rising up to cull humanity remains. [ + ] Is the film like the novel? It’s a condensed version of the book, where a third is followed, another ignored and the rest is condensed to fit in a two hour time slot. It has its own charm and certain characters are, even sharing names with counter parts but there are differences ranging from the inane to story changing. Read HERE to take a detailed look at the changes. [ + ] Who made the movie? Take a look over HERE for a list of the people involved. [ + ] Will there be a sequel or a remake? Not as far as any official sources have announced. Of course there have been rumors of W.S Anderson owning the movie rights as well as *le gasp* Madonna. But for those who read the possibility on IMDB, there’s been no substantial evidence to back up either claim. For now it seems, this classic will stay how it is, how it was meant to be. [ + ] Who are the films main characters? [ + ] Is it gruesome/scary? That would depend on your definition of gruesome and what fears lay inside that deep dark pit known as your mind. As a general rule it’s not as gruesome as say SAW but what is? It tries to build up your anxieties and plays on the anticipation of what you can’t see. Since however, it is more of a sci-fi movie, the horror is not as pronounced as some of the classics like Nightmare on Elm Street, but have fun finding out and discovering for yourself! [ + ] What is the ending about? You mean, why’d Mitochondria light Toshiaki up like a Roman candle? Good question! I guess that’s up to the viewer to decide. Love? Hate? Something more?